Media Architecture & Spatial Systems Workshop (MASS) aims to tackle the abstract notion of Spatial Design through a trifold relation between space, media and technology. Under the umbrella of MASS, the Robots and Cyborgs International Workshop will integrate the use of a robot for digital fabrication with a cybernetic Virtual Reality (VR) system and into a spatial system. Starting off with an overview of Robotic Fabrication and VR systems it will quickly move on to the control of both components and concepts through tutorials in robotic fabrication and virtual reality. 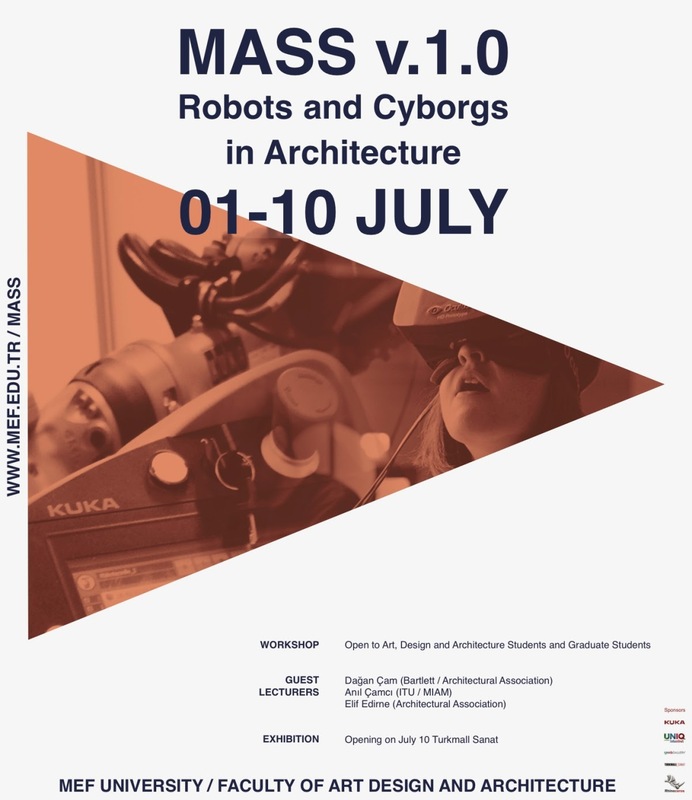 In order to support this development the Robots and Cyborgs workshop will also be supported by a series of lectures related to the subject of Media Architecture & Spatial Systems.